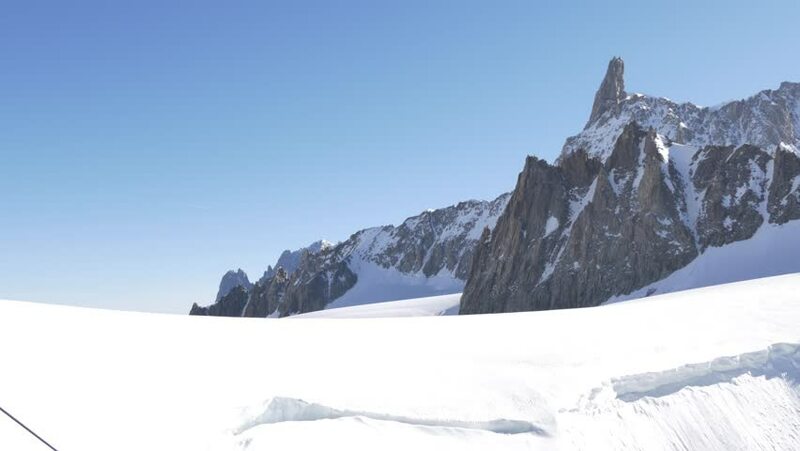 The Glacier of Geant and the Dent du Geant peak (in background). Mont Blanc massif, Chamonix, France, Europe. 4K UHD in Cinelike Gamma (flatter profile suitable for editing) by Panasonic GH-4.